Date 16.11.2017 Pathways to Aus is Education Agency that has assisted over a thousand clients from 30 different countries study and migrate to Australia. They are now working from our office in the Down Under Centre in Ealing Broadway, London. We’ve had a chat with AJ, from Pathway to Aus, to find out about how Pathway to Aus can help you if you want to study in Australia. Tell us about your experience in Australia. I went to Australia on a Working Holiday visa with the initial intention of only staying 3 months at the end of a big ‘round the world’ trip. I felt in that time I really didn’t explore the country enough and decided to return. One thing lead to another, I did my regional work and I stayed an extra year! In total I was there for 2 years, spending most of my time in the Gold Coast. In one sentence, describe Pathway To Aus. 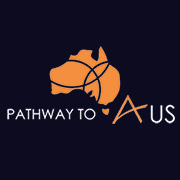 Pathway To Aus assists people who want to study in Australia, whether they are looking at migrating long term and therefore studying a trade that can lead to PR, or heading to Australia short term and coming home with a qualification. What is your role in Pathway To Aus? I am an Education Consultant. I can help you through the entire process from finding a course, all the way through to congratulating you when you finish. Here are some frequently asked questions that we have asked AJ about studying in Australia. Can studying lead to PR? If you study one of the specific courses (mostly trades) for 2 years, you could go onto a Post Graduate Visa, work for 12 months full time in the relevant occupation then look at getting your skills assessment and eventually applying for your PR. Yes. You are allowed to work 40 hours a fortnight during term time and full time hours during holidays. Can my family/partner come with me? Yes. Your family or partner can be added onto your student visa as an additional applicant. Is there an age limit on a student visa? No there isn’t an age limit on a student visa, however if you are looking into a PR pathway then there are limits on the General Skilled Migration, 45 years of age being the maximum. How did you end up here at the DUC and how will you work together? We go way back with the DUC; they have always been our ‘go to’ guys for Skills Assessments due to their professionalism and efficiency. When looking at offices in London there was nowhere else we would rather be. We can help those who don’t necessarily have the trade skills or qualifications to go straight for their skills assessment, and we can provide them a pathway to be able to migrate to Australia through the skills route. Would you go back to Australia? Yes, in a heartbeat, I miss the sun, sea and sand so much! I am working towards building up evidence to return on a partner visa with my Australian partner.